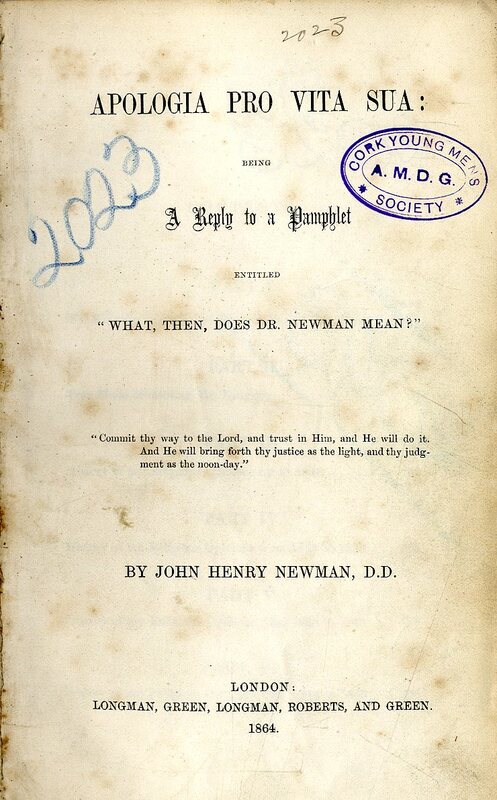 Newman (J. Henry Card.) Apologia Pro Vita Sua: 8vo L. 1864. First Edn. in Bk. Form, a.e.g., cont.